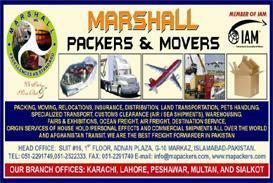 Marshall Packers & Movers Islamabad one of the Leading Freight Forwarders – Packers & Movers in Islamabad Pakistan. Marshall Packers & Movers Islamabad got its fame from our Quality Logistics Services provided through years to our clients & agents all over the world. We are proud to introduce ourselves as one of the Reputed Packers & Movers firms in the movement of Household and Commercial Goods. Our Head Office is in Islamabad and the Branches are in Lahore , Karachi, Peshawar, Quetta, Multan, Faisalabad, Gujranwala, Gujrat, Kasur, and Sialkot, Pakistan. Marshall Packers & Movers Islamabad have continued to be a Leader in the Household and Commercial Goods Moving Industry. We offer a Highly Personalized Service, which several firms find difficult to compete with. We understand that your possessions are your assets. Hence, it is obvious that transferring your goods from one place to another can cause considerable tension in your mind.We offer affordable, high quality Packing and Moving Services for all your Packing and Moving needs in Islamabad. We have trained and experienced staff for packing all your valuable items from the smallest to the biggest. The senior and specialized professionals, who ensure complete satisfaction for your esteemed organization, handle the customers personally.We provide our services in Household Relocation and also in Corporate Transfers. All the elements of services rendered are discussed in detail with our clients during our preliminary meeting, ensuring a trouble free and comfortable and Complete Relocation Solutions.For Marshall Packers and Movers, Our each client is precious with whom it would like to have the best experience. Marshall Packers & Movers provides a wide range of services under one Roof as follows: Packing, Stripping, Crating, MovingOffice / House RelocationInternational Courier ServicesRoad TransportationSea & Air Freight Forwarding (Export & Import)Inland Transportation of export/import (Trucking FTL and LTL)Warehousing / StorageCargo InsuranceCustoms Clearance and Documentation Services (in-house customs brokerage).Project Cargo Handling.Fairs & exhibitions Shipments.Door to Door Delivery Services for Personal Effects & Commercial Shipments.Transit procedures & Forwarding of Transit Shipments to Afghanistan & CIS Countries.Pets HandlingImport & Export Cargo Services Marshall Packers and Movers Areas of services and Locations in Islamabad, Lahore, Karachi, Pakistan Packers Islamabad, Movers Islamabad, Transporter Islamabad, Transporter Lahore, Transporter Karachi, Packers and movers Islamabad, Packers and movers Karachi, Packers and movers Lahore, Fumigation service Islamabad, Custom clearing agent Islamabad, Custom clearing agent Lahore, Custom clearing agent Karachi, Freight Forwarder Islamabad, Freight forwarder Lahore, Freight Forwarder, Karachi, Shipping line Islamabad, Shipping Line Lahore, Shipping Line Karachi, Air cargo Islamabad, Air Cargo Lahore, Air Cargo Karachi, Import and Export, Door to door services worldwide, Afghanistan Transit. 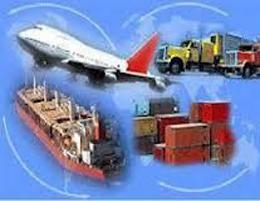 Air freight, Relocation Islamabad, Local Shifting Islamabad, Pets Handling Islamabad, home packers, Office shifting, Home shifting, International Project Handling, Express service Islamabad, Worldwide courier service Islamabad, International courier service Islamabad, Packers and movers Pakistan, Relocation service Islamabad, packers Pakistan, Movers Pakistan, packers and movers in Islamabad, Cargo service in Islamabad, Cargo service in Karachi, Cargo service in Lahore, Cargo service in Pakistan, Air Cargo Service, Movers and Packers, Shipping - Local and Overseas, Custom Clearing, Freight Forwarding, Packing Service, 24 Hours Support Service, 3pl, Abnormal Large Load Shipments, Afghanistan Transit Cargo Movement By Rail, Afghanistan Transit Trade Agents, Air Cargo, Air Cargo Worldwide, Air Consolidation, Air Freight Services, Barges, Bay, Bonded Carriers, Break Bulk Including Customs Clearance In Pakistan &; Afghan Borders, Bunker Supply, By Land Transportation, By Road, Cargo, Cargo Handling, Cargo Relocation Service, Cargo Superintendents, Cargo Transport, Cargo Transportation Service, Carriers, Cartage, Carters, Chartered Shipbrokers, Clearances Customs, Clearing and Forwarding, Clearing Agency, Clearing Agents, Clearing Forwarding, Combined Air, Commercial, Commercial Ship Managers, Consolidation, Consolidator, Container Terminal Operators, Containerized Goods Shipping, Containers, Courier Companies, Crewing Agents, Custom Brokerage, Custom Clearance, Custom Clearing Agents, Custom House Agents, Customs Brokers, Customs Clearance, Customs Clearing, Customs Representatives, Discount Packages, Distribution And Delivery, Dock, Door to Door, Door To Door Delivery, Door To Door Delivery Service, Door To Door Services, Door To Door Transportation, Dredgers, Dredging Services, Dry Port, Export, Exporters Support Services, Express, Express Shipping, FCL Consolidation, Factory Stuffing, FCL, Flatbeds, Forklifts, Forwarding Agency, Forwarding Agents, Freight Containers, Freight Forwarder, Freight Forwarders, Freight Removal Services, Freight Forwarding Agency, Fuel Supply, Full Container Load, Full Trailer Loads, Gas Suppliers, General Agency Representation, Goods Containers, Goods Handlers, Goods Moving, Goods Transferring Service, Goods Trucking, Groupage, Groupage Shipping, Hauling Service, Heavy Cargo Hauling, Heavy Goods Haulers, Home Luggage Shifting Service, Household Goods Packing, Import, Import Consolidation, Importers Support Services, International Freight, International Freight Forwarders, International Freight Forwarding, International Moving, LCL Consolidation, Lading Craft, LCL Export Container Shipping, LCL Import Container Shipping, Less Container Load, Local, Local Shifting, Local Transportation, Logistic, Logistics, Logistics Support Service, Lorry, Manning Agents, Marine Consultants, Marine Surveyors, Member Of HHGFAA, Mover & Packer, Movers, Movers & Packers, Moving Of OD Cargo, Multi-Model Transport Operators, National, National Freight Service, N.V.O.C.C, NVOCCs, Ocean Freight, Off, Off Dock, Oil Field Equipment, Oil Rigs, Open Lorries, Order Follow-Up Tracking Systems, Overseas, Overseas Removals, Overseas Shipping, Packaging Services, Packers, Packing, Labeling, Packing And Labeling Services, Packing Household Goods, Packing Services, Point To Point Cargo, Port Agency, Port Captains, Port Facilities, Port Operations, Project Cargo, Project Cargo Handling, Project Coordination, Project Handling, Project Shipping Services, Project Supervision, Reefers, Relocate Goods, Road, Sea, Sea Cargo, Sea Consolidation, Sea Freight, Sea Freight Export, Sea Freight Services, Sea Port, Services, Ship, Ship Agents, Ship Crew Management, Ship Management, Ship Operators, Shippers, Shipping, Shipping Agencies, Shipping Agency, Shipping Agent, Shipping Agents, Shipping Company, Ships Agents, Ships Chandlers, Stevedore, Stevedores, Stevedore Contractors, Stevedoring Service, Suppliers, Suppliers Goods, Supply Chain Tracking Systems, Tally Services, Technical Ship Managers, Terminal, Terminal Bay, Third Party Logistics, Logistics Solutions, Trailer, Trailers, Transit Services, Transport Contractors, Transport Services, Transport Service, Transportation, Transportation Consultants, Transporters, Transporting Services, Trucking Allied Products, Trucking By Road, Trucking Dry Bulk, Trucking Liquid, Tugs, Vehicles, Warehouse Facility, Warehousing, Warehousing Services, Worldwide, Heavy Cargo Transportation, By Rail, Dry Port Cargo Handling, Port to Port, Carriage. 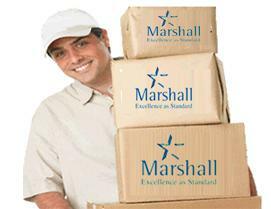 Marshall Packers and Movers Areas of services and Locat.